What’s New: Intel outlines vision for reimagining memory and storage with Optane + QLC. Intel is reimagining the memory-and-storage market and igniting a new era of computing with a combination of two unique memory technologies in memory and storage solutions no one in the industry currently offers: Intel® Optane™ and Intel® QLC 3D NAND. 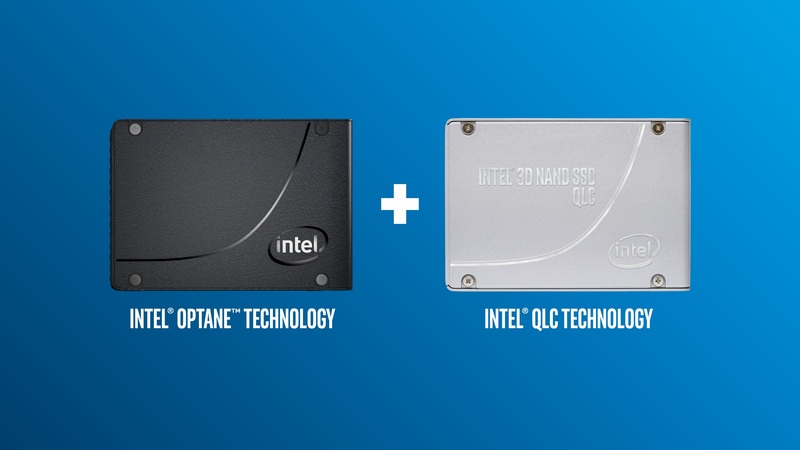 Why It’s Important: The combination of Intel Optane and Intel QLC 3D NAND technologies allows customers to accelerate the speed of their most frequently accessed data, while utilizing the value flash technology delivers over HDDs for massive capacity storage. Intel’s aim is to break bottlenecks and deliver better solutions to unleash the value of data. Intel Optane SSDs integrated into IBM Cloud’s bare metal servers have enabled up to 7.5 times improvement — especially for applications that have high write-intensive operations. Intel’s QLC 3D NAND products announced today at Flash Memory Summit deliver new memory and storage solutions: Tencent, employing the new QLC PCIe Intel® SSD D5-P4320 in an initial production environment, increased by 10 times the number of customers served on a per-system basis. 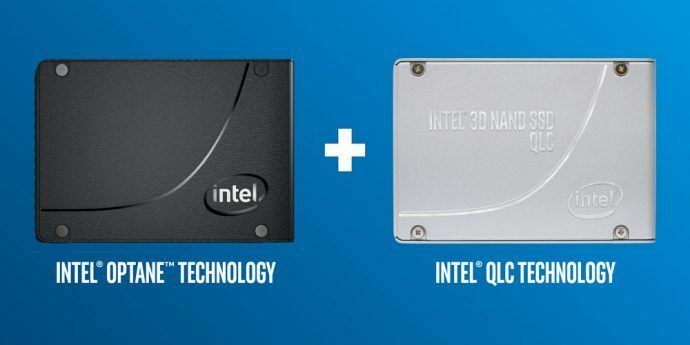 How It’s Different: The Intel® SSD 660p (for client) and the Intel® SSD D5-P4320 (data center) are the world’s first QLC PCIe 3D NAND SSDs for their segments, offering the highest PCIe areal density on the market at an affordable price. With up to 2TB of storage in one drive for the 660p and 8TB for the P4320 (larger capacities coming later), these QLC SSDs have the capacity to replace hard drives. The 660p’s M.2 80mm form factor provides 2 times more capacity than TLC-based storage. In the data center, the P4320 enables users to store more, save more and do more than legacy solutions. While Intel’s client solutions — including Intel Optane Memory and Intel Optane SSDs — have changed the PC space, Intel has set its sights on the data center. The challenges businesses face in managing vast amounts of data require the high performance of Intel Optane paired with the capacity-storage power of Intel QLC 3D NAND — two technologies that will transform the memory and storage tier.